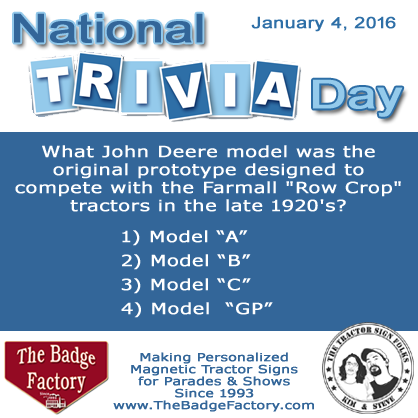 The John Deere Model “C” was the Original prototype designed to compete with the Farmall “Row Crop” tractors in the late 1920’s. They began working on the design in 1926, and over the next couple of years they produced a small number of demonstrator models to test. By the time John Deere was satisfied with the prototype and ready to manufacture and sell it to the public, they determined the Model “C” sounded too much like the Model “D” when customers were phoning in orders, so they decided to give it the designation of the Model “GP” for General Purpose.